Do we need those stinkin’ badges? Social or Pro? Of the various strategies embodied by the latest ‘gamification’ trends, Badging may be one that holds significant, longer-term promise. That’s not to say other gamification strategies are not also worthwhile; leaderboards, game mechanics, incentives and rewards, and even virtual environments can all be effective when implemented properly. However, a badging strategy can have a wider purpose. They can certainly be used within a course as a rewards, but they can have a broader scope ranging from skill-specific awards to post-course certification. There’s no single defined way a badge needs to be used. 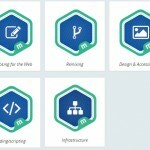 A badge can be tied to a simple event, learning objectives, skill certification, course completion, or even as a digital degree…though no one seems to have taken in that far yet. There are several ways to obtain and track badges. 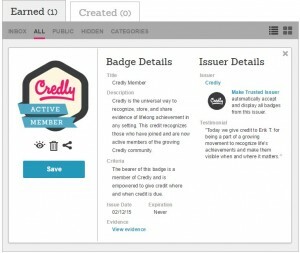 Two examples are Mozilla OpenBadges and Cred.ly. Both platforms are setup as a way for ‘Issuers’ to create badges, provide achievement requirements, and act as a central repository for a user’s awarded badges (or ‘backpack’ in Mozilla’s platform). Such a centralized service is critical to maintain a method of validation. For example, if you receive a badge from a training provider indicating you have achieved some level of competency, how do you share that achievement with others? How do those others know the badge isn’t some fancy image you ginned up in Photoshop? 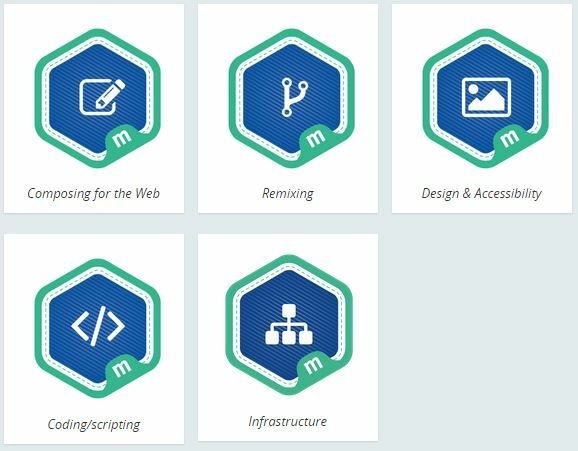 Both OpenBadges and Credly list organizations that are currently using their platform to create, integrate, and distribute badge, such as EDUCAUSE, the Smithsonian and MOMA, the Instructure LMS, and a variety of colleges and universities. Each institution has their own way of awarding badges; for some you earn a badge after taking a class, for others you may be awarded a badge simply for an onsite visit. As mentioned, one significant use of badges is visual representations tied to verifiable training and skillsets. The University of Central Florida is one that has taken badges fairly far with a variety of certifications. Per Credly, UCF “certifies mastery of information literacy skills vital to success in college and the workplace.” Others, like Seton Hall and Michigan State University seem to still be exploring badges as a social valuation (i.e. attending campus events). For more Issuer organizations, see Mozilla’s Badges/Issuers page on their wiki. 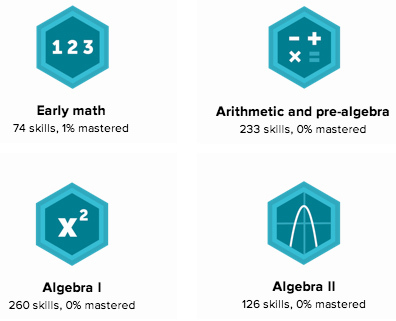 Sites like the Khan Academy also make extensive use of badges, but more as in-course awards for specific skills acquisition. I’ve yet to find a simple method for displaying those badges outside of Facebook integration. Overall, this flexibility of badges, combined with centralized distribution and verification, shows significant promise and perhaps no greater opportunity presents than with skills qualification and job searches. While submission of resumes and applications for employment opportunities is a long established process, at least some improvement (however debatable) has been made over the recent years with the addition of supplemental submissions of self-produced media. Looking for a new video production job? You no longer have to ship a VHS tape or CD-ROM, you can simply link out to samples you share via YouTube or Vimeo. Looking for graphic design opportunities? It’s simple to setup a website showcasing your work. 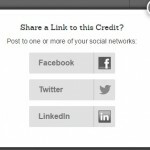 I’m surprised LinkedIn is not jumping on this bandwagon more fervently. 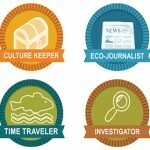 They a are already cited as one who uses gamification techniques to motivate their users (the ‘Complete your Profile’ progress bar), and with their professional-level focus, it would seem badges would be a huge opportunity. In searching for such a relationship, I found Credly does offer a fairly simple way to integrate badges earned within their platform to your LinkedIn profile. And it’s a pretty smooth process! I wish the badge displays were a bit more customizable, but just being able to share direct to LinkedIn is a great step forward. 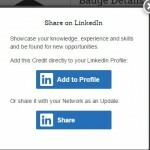 I wonder if Lynda.com, with their acquisition by LinkedIn, will move from their certificate model to a badging model, which can then be sync’d up to the user’s LinkedIn profile. Hmmm…? Having the ability to transfer badges is one of the modern “killer apps”. I think you are right about Lynda and LinkedIn, IF they see the light – but they rarely appear to listen to the outside world! since the boy scouts, and gold stars at school, many of us have collected badges, having them move with us is a gamechanger. I agree this innovation may actually have some legs, and Pablo’s comment indicates its being taken seriously. I appreciate the input and pointers!